New York, NY (March 16, 2017) — Time Inc.’s (NYSE:TIME) ESSENCE Festival® presented by Coca-Cola® announces its star-studded daytime lineup of speakers and panelists for the event’s signatureESSENCE® Empowerment Experience Stage, taking place June 30–July 2, 2017, at the Ernest N. Morial Convention Center in New Orleans, LA. Free and open to the public, the ESSENCE® Empowerment Experience Stage will serve as the intersection of passion and purpose, bridging the gap between this generation’s most prominent voices in leadership–from social media activists to community organizers–and those who have laid the groundwork for them. Conversations and keynote addresses will put the invaluable, intersectional voices of Black women at the forefront and will feature influencers such as Iyanla Vanzant, Congresswoman Maxine Waters, Ava DuVernay, Rev. Al Sharpton, Phaedra Parks, Dr. Michael Eric Dyson, Luvvie Ajayi, activist April Reign, National Women’s March Co-Founder Tamika D. Mallory and Bishop Lester Love, with music provided by DJ Charles “Bam Bam” Belonge and house band Church Friends. The ESSENCE® Empowerment Experience Stage offers curated content from ESSENCE’s editorial team, extending conversations that have moved from the page to the screen to the stage. For a full lineup of this year’s daytime speakers and artists, visit www.essencefestival.com. Media applications for the 2017 Festival are now open. To apply for media accreditation to the Empowerment Experience, visit here. Join the festival community: Follow us on Twitter @essencefest #EssenceFest and become a fan of Festival on Facebook. 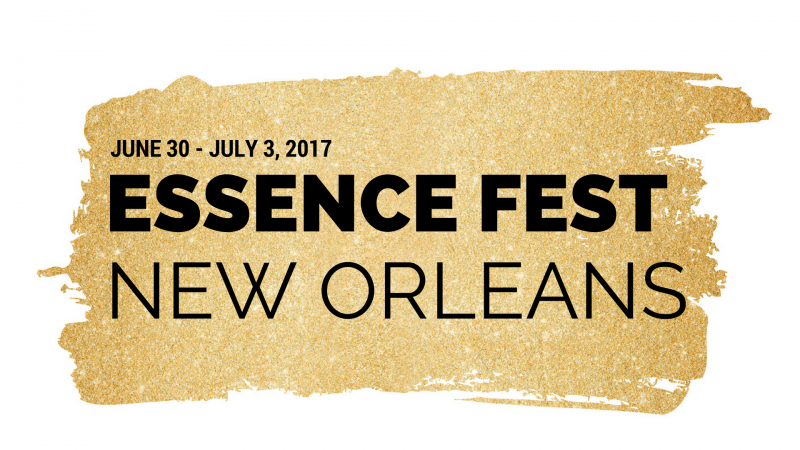 The 2017 ESSENCE Festival® presented by Coca-Cola® is sponsored by Ford, McDonald’s State Farm and Wal-Mart, and the ESSENCE® Empowerment Experience is executive produced by GeChar. ESSENCE® Communications Inc. (ECI) is the number one media company dedicated to African-American women, with a multi-platform presence in publishing, live events and online. The company’s flagship publication, ESSENCE® magazine, is the preeminent lifestyle magazine for African-American women, generating brand extensions such as the ESSENCE Festival®, ESSENCE® Black Women in Hollywood and Black Women in Music, Window on Our Women and Smart Beauty consumer insights series, Essence.com, and ventures in digital media (mobile, television and VOD). For 46 years, ESSENCE®, which has a brand reach of 14.2 million, has been the leading source of cutting-edge information and specific solutions relating to every area of African-American women’s lives. Additional information about ECI and ESSENCE® is available at www.essence.com.